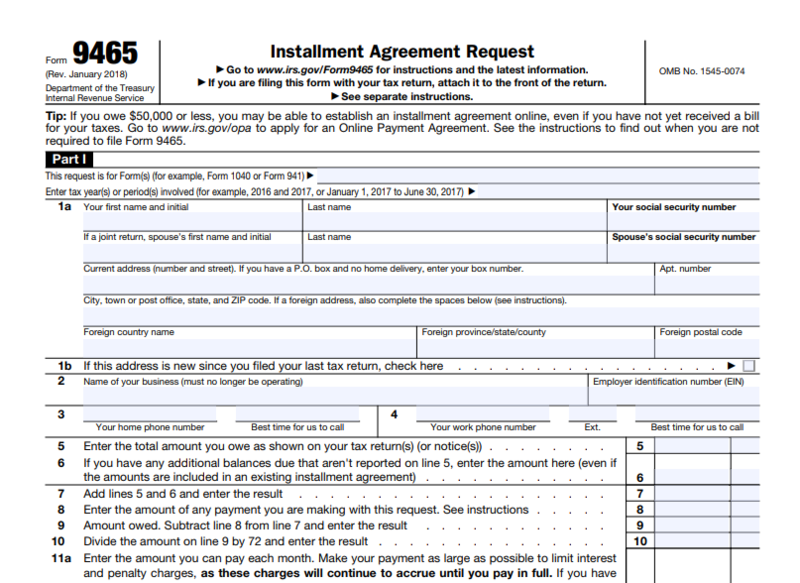 How to Use IRS Form 9465 to Request for Installment Agreement? 30 Mar How to Use IRS Form 9465 to Request for Installment Agreement? 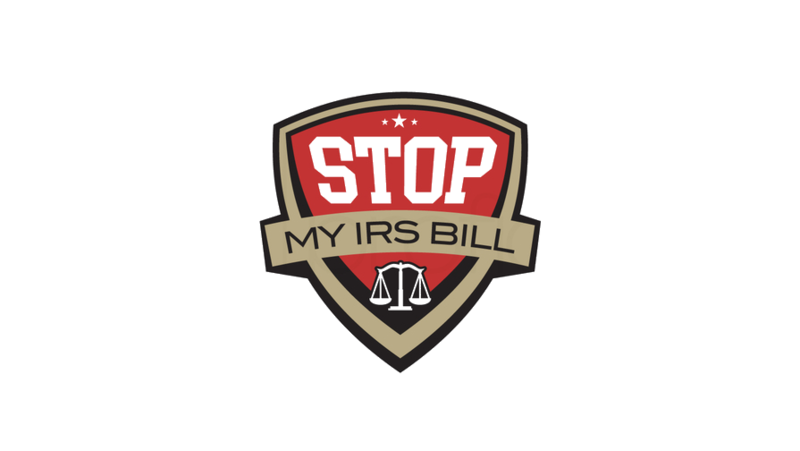 If you can’t apply using the IRS’s online payment agreement, or you don’t want to speak with an IRS agent, you may use Form 9465 (Installment Agreement Form) to set up a payment plan. This form is used for individuals, not for businesses. Businesses can only use this form if they are no longer in the business. Who Should File Form 9465? If you owe more than $50,000, you should use Form 9465, since you can’t apply for an online payment plan with that amount of tax debt. However, you don’t need this form if you can pay your overall debt regardless of the amount within the next 120 day. If you are paying for an existing installment plan, you can use this form to roll your new tax liability into your existing payment plan. The very top of the form should have details on the tax return you filed and the year in questions. This should also include other information such as our social security number, business name (if you have), address, employer’s name, and the name of financial institution. You need to add details about the amount you owe, the amount you are paying now, and the monthly amount you can pay. To compute the amount you can afford, divide the total due by 72 and that will give you the monthly payment for 6 years. The form will also ask you to select your preferred payment date on either the 1st and 28th of every month. If you think you can’t pay off your tax debts within 6 years, you will have to complete Form 433-F (Collection Information Statement). This form will ask you to provide information about your personal finances, so the IRS can assess if you qualify for another type of arrangement. The bottom of part one of Form 9465 is where you can set up automatic payments using the details of your bank routing and account numbers. You may allow the IRS to accept payments directly from your paycheck by completing Form 2159 or Payroll Deduction Agreement. File form 433-F if your tax debts to the IRS are above $25,000 and you don’t want to make automatic payments. 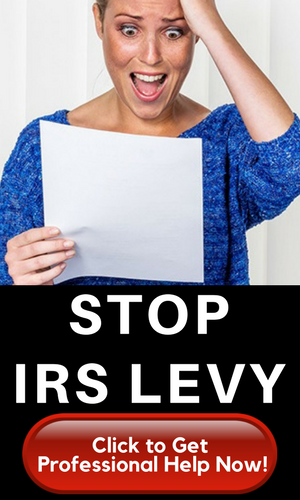 But the information on this form must assure the IRS that you can make repayments. If your debts are over $50,000, you need to include Form 433-F whether you set up automatic payments or not. Complete Section 2 of Form 9465 if your debts are between $25,000 and $50,000 and you have defaulted on a previous payment plan. The IRS removed this requirement for anyone with tax debts below $50,000 somewhere in 2016-2017. The section of this form asks details about your country of residence, number of dependents, number of people living in your house over the age of 65, marital status, take-home pay, and how often you get paid. For married people, the information should state if you share expenses with your spouse or not. You also need to include the number of vehicles you have and the monthly vehicle loans. The premium amount of your health insurance should also be included. Furthermore, court-ordered payments and monthly child care expenses should be taken into account. The setup fee for an Installment Agreement for this Form is $225 (as of 2017) and $107 for direct debit. You can pay the minimum fee of $43 if your income is below a certain threshold. The IRS will let you know if you should pay the minimum fee, but if you don’t receive any instructions, then you may request for the reduced fee through Form 13844 (Application For Reduced User Fee For Installment Agreements). You will pay less at a fee of $31 when you apply online and set up a direct debit. That’s more affordable than using this form. You will pay $89 to make adjustments to your existing payment arrangement. The IRS claims that the response time varies, but it usually takes at least 30 days to get a response. However, you should expect a delayed response time when you request an installment agreement in April for a tax return filed after March 31. You should make your payments when the date of the first payment comes in but you still haven’t gotten a response from the IRS.